The UAH Shelby Center for Science & Technology is an over 200,000 square foot state of the art instructional & research facility encompassing 18 teaching laboratories, 13 classrooms, 15 research laboratories, 2 teaching auditoriums, and 146 offices. 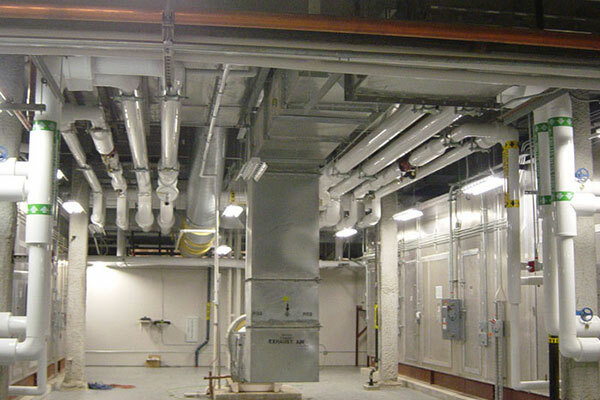 The building HVAC system is divided into two systems, one serving the general and office area which utilizes two 60,000 CFM custom air handling units, and the laboratory areas which utilize four 30,000 CFM 100% outside air custom air handlings units. There are also four 30,000 CFM energy recovery units that use the exhaust from the laboratory units to generate heat using a glycol piping system to pre-heat the air in the lab units. Along with the specialized HVAC system the building contains specialty gases which are used in a glass blowing instructional lab, a deionized water system, a natural gas system, plumbing, and a hydronic system that is fed from underground piping from the on-campus central plant. This facility will increase the universities ability to attract students, faculty, and researchers who are the forefront of emerging research.